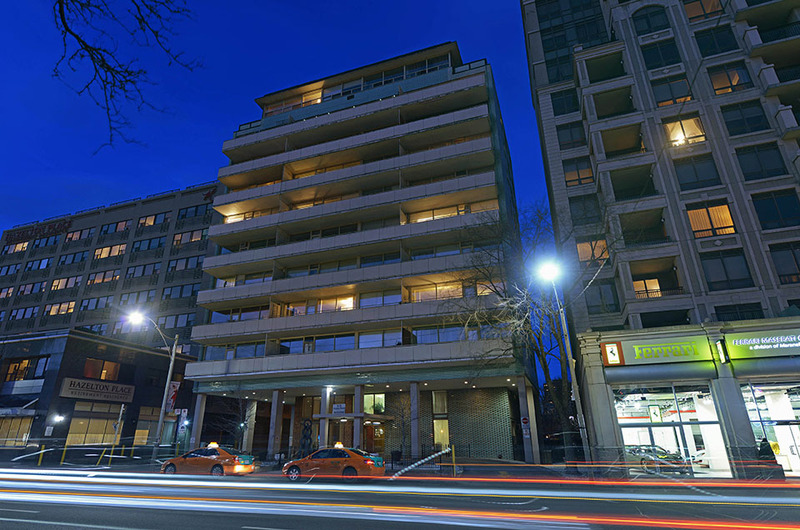 Are you looking to move to the distinguished neighbourhood of Yorkville in Toronto? Surrounded by luxury retailers, Whole Foods, cocktail bars and arguably the classiest people watching in the city – now is your chance to live in the chicest part of town! Hollyburn Properties is hosting an Open House at our new rental community in Toronto, Avenue Park Apartments located at 103 Avenue Road. 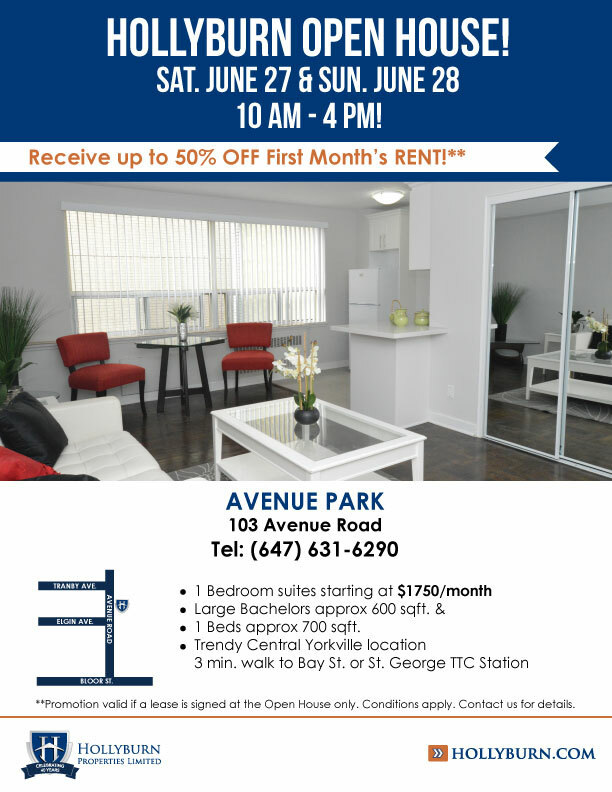 Receive up to 50% OFF your 1st month’s rent! The promotion is valid if a lease is signed at the Open House only. Please ask our staff on-site for details. See you then!